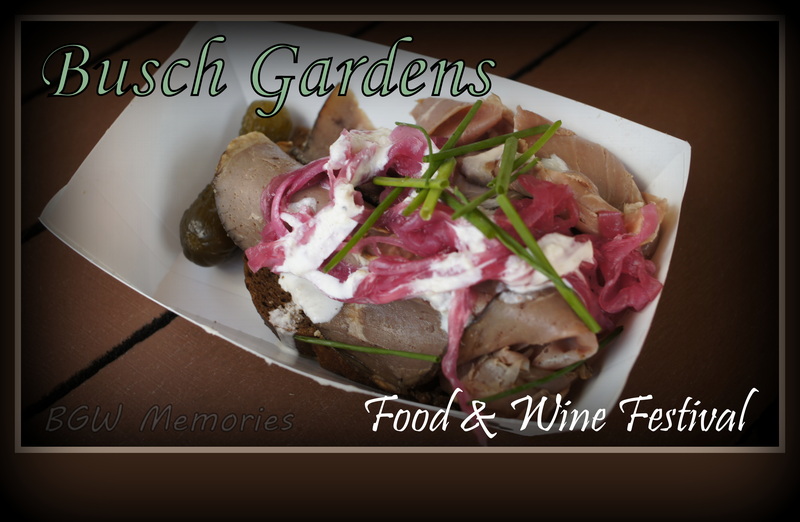 Three cheers to Busch Gardens Food & Wine Festival! 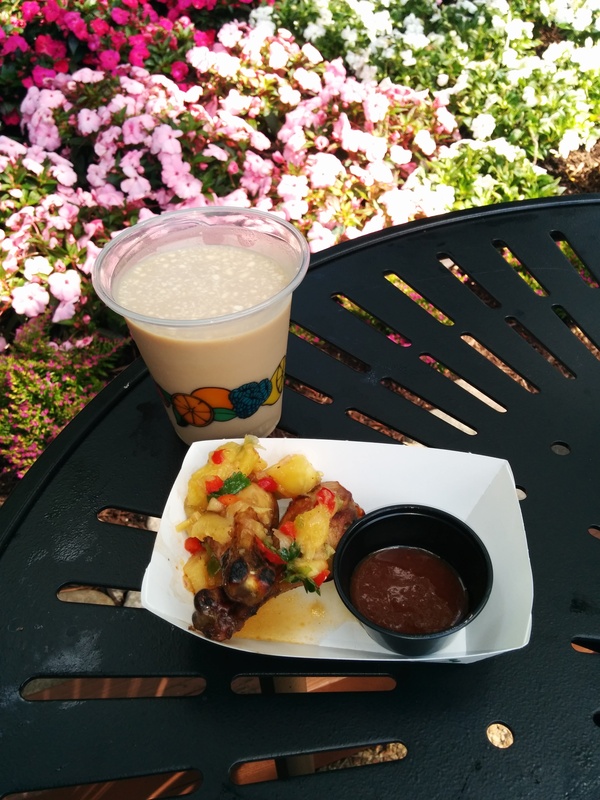 May 27, 2014 7:51 AM / 2 Comments on Three cheers to Busch Gardens Food & Wine Festival! 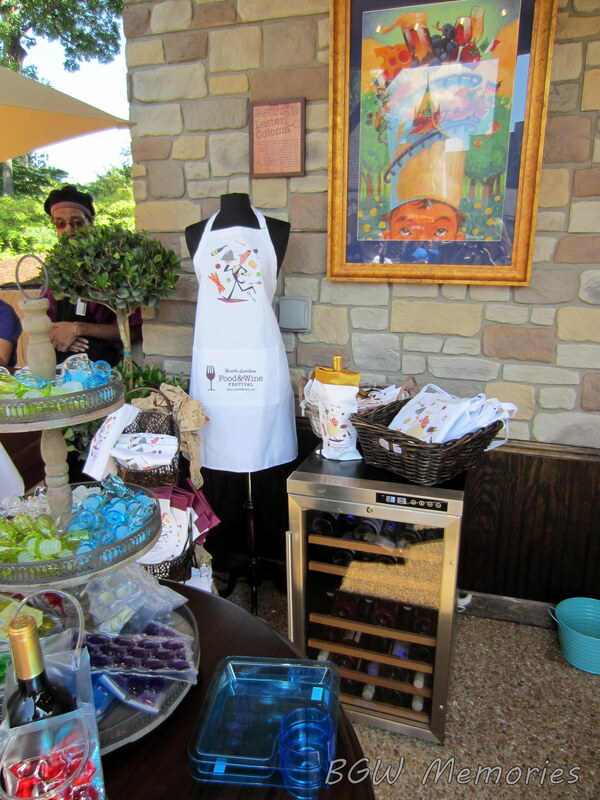 This past weekend kicked off the second annual Food & Wine Festival at Busch Gardens Williamsburg. I couldn’t be happier. This fabulous festival features a wide variety of international cuisines, along with various beers and wines, all placed at culturally themed kiosks located around the park. With the success of the inaugural event last year, this year’s festival has evolved to be even bigger and better! Luckily, much of the event has remained the same; which is fine by me. “If it isn’t broke, don’t fix it.” Still, any great event needs to expand and evolve. 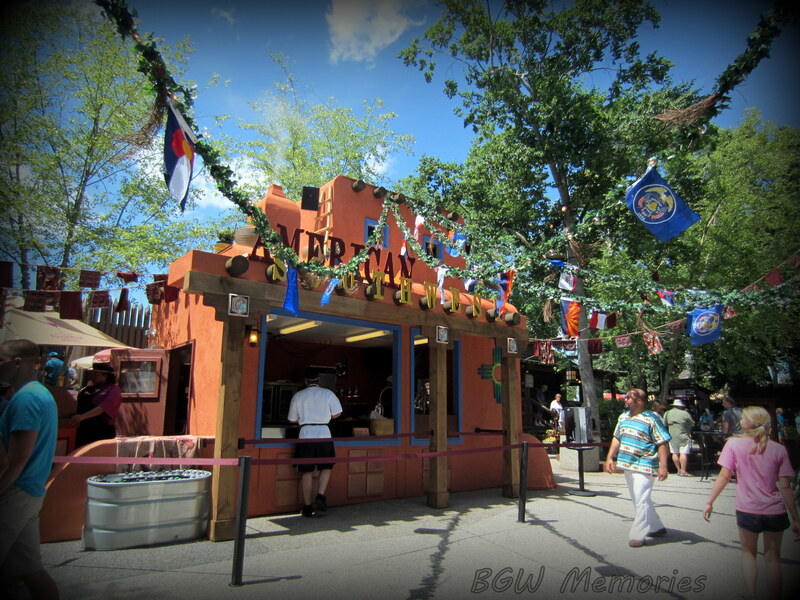 Two New booths have been added this year: The Caribbean and The American Southwest. 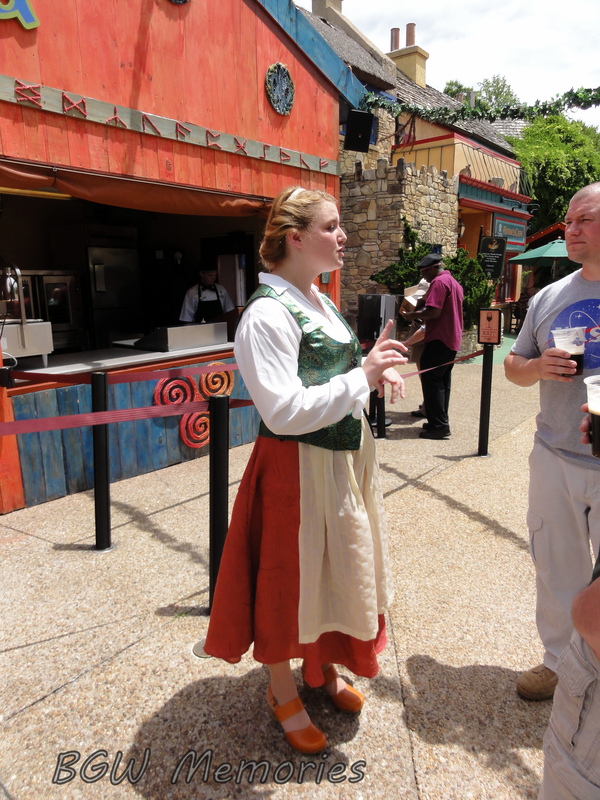 Busch Gardens opened up the selection of extra cuisines to the fans on the internet. Overwhelmingly, the number one choice was the Caribbean. To be honest, after the park announced the additional booths, I was skeptical; not to mention being slightly disappointed. I had considered the selections to be the “safer” choices for culinary exploration. However, I was wrong to assume the food wouldn’t be exciting. In fact, my favorite booth this year was the Caribbean! 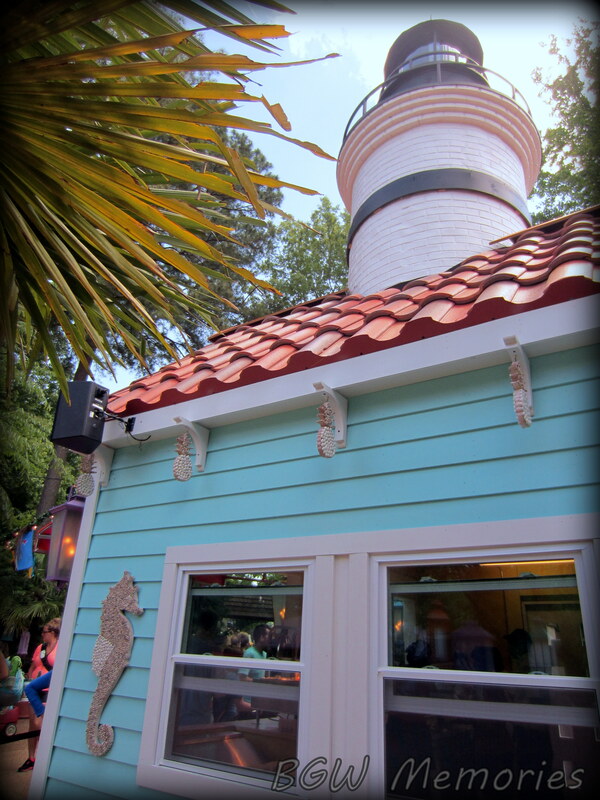 The booth has a very Island inspired color pallet and features a large light house structure on top. 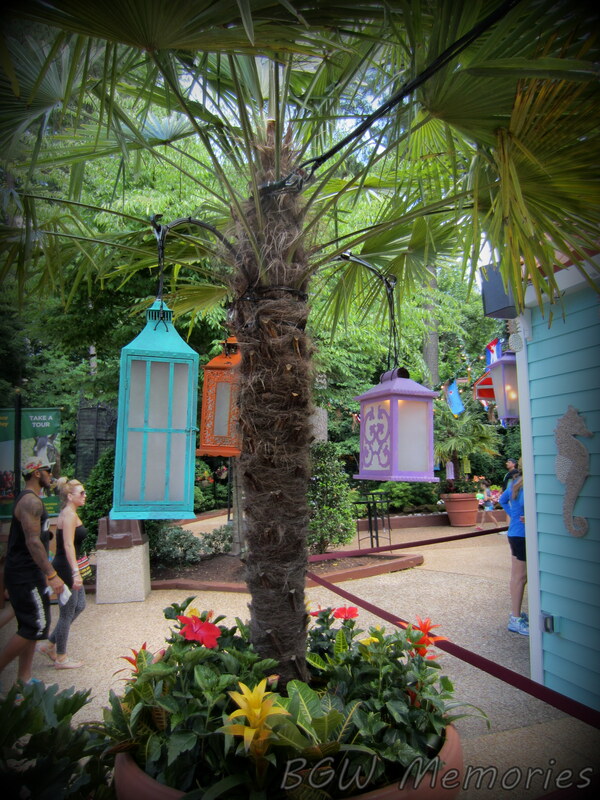 Lanterns and décor made from sea shells are festively placed between the area of Rhinefeld and Oktoberfest. Odd for Germany? One would think so. Still, the location is set in a quiet, wooded area and the shade offers a refreshing oasis on a hot day. My choice of the Jamaican jerk chicken with barbecue and pineapple salsa was fabulous to say the least. I paired it with a dangerously delicious “Bushwhacker;” a frozen mixed beverage consisting of cream of coconut, coffee liqueur, black rum, dark creme de cacao, and milk. It is so soooo good! Moving on, the Southwest booth is also new and well themed; an adobe style building that features a working smokestack. I tried the Sonoran Spice Pork with jicama-chayote slaw & sweet pepper salsa. It was a very refreshing dish. My friend Luke has stated that the Chocolate Lava cake is divine and just from his photo, I have to agree! Thanks to Luke for this lovely photo! Scandinavia has my favorite dish so far. 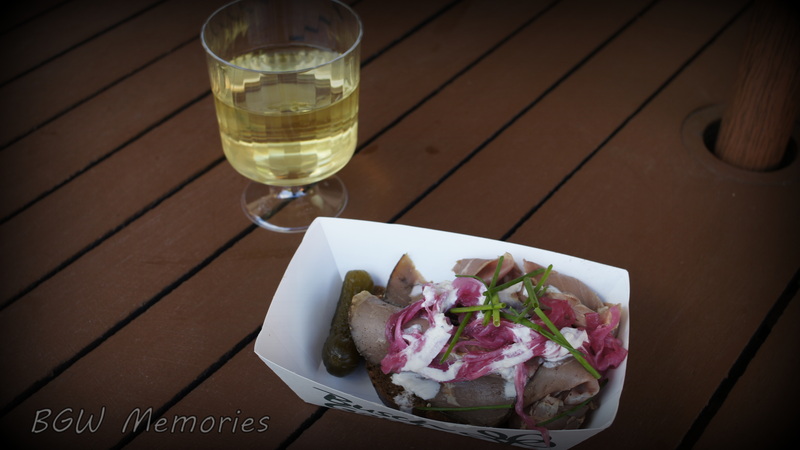 The Smorrebred is an open-faced roast beef sandwich on dark rye bread with horseradish & pickled red onions. It was so delightful and reasonably priced, I went back for seconds! It paired nicely with the Ingleside Chardonnay. 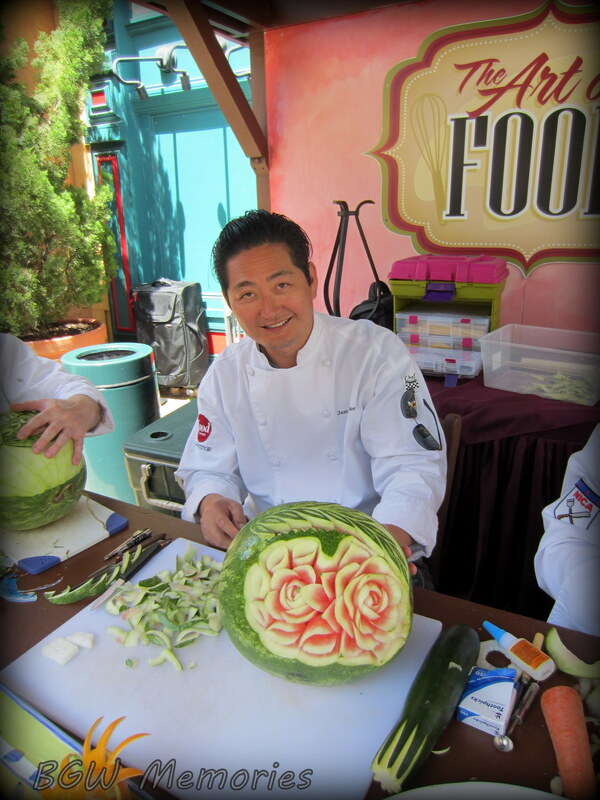 There are so many choices and new dishes this year, I am just scratching the surface with what to see and do at the Food & Wine festival. Even by removing a few dishes here and there and combining some of last year’s Austrian with Germany in order to add the Caribbean; the event continues to surprise me. 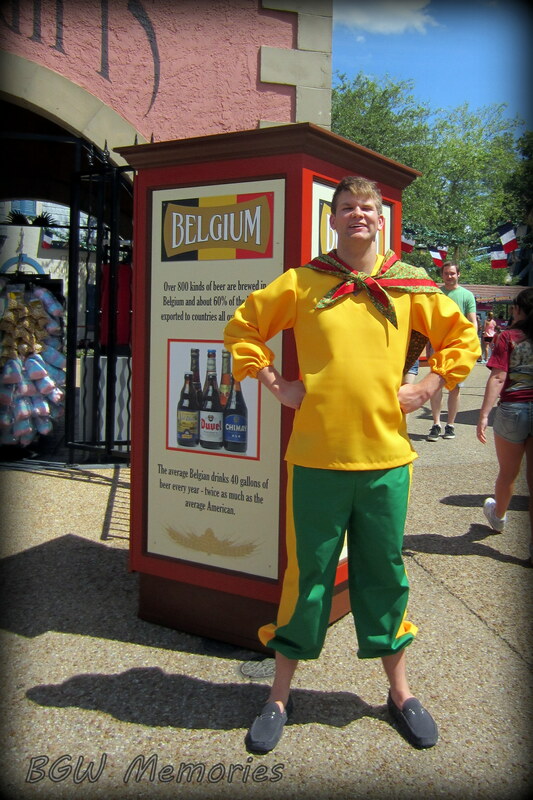 Costumed representatives of each country greet you at the entrance to each kiosk. Tara was the first to great me when I visited the Caribbean booth. 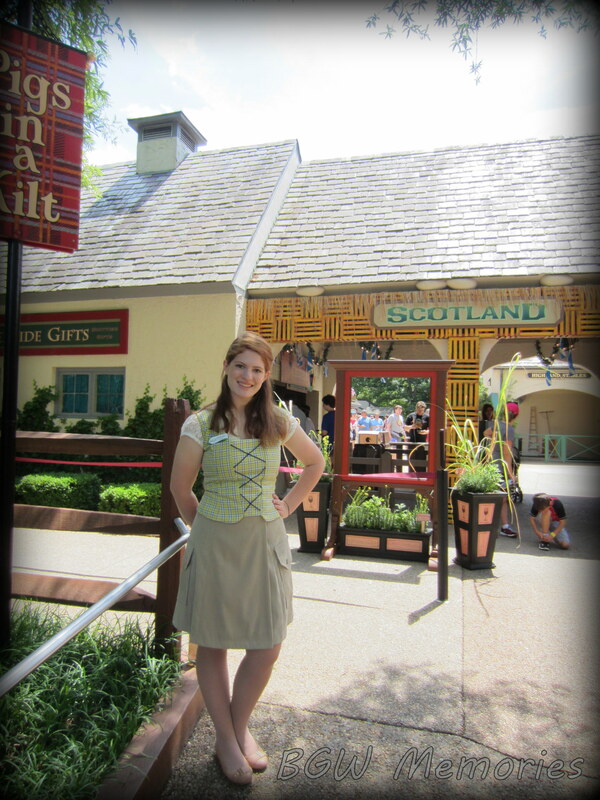 Heather welcomes you in Scotland, Clara in France, and so forth. (I am still gathering photos and names of each individual. I will add them to this article once collected). 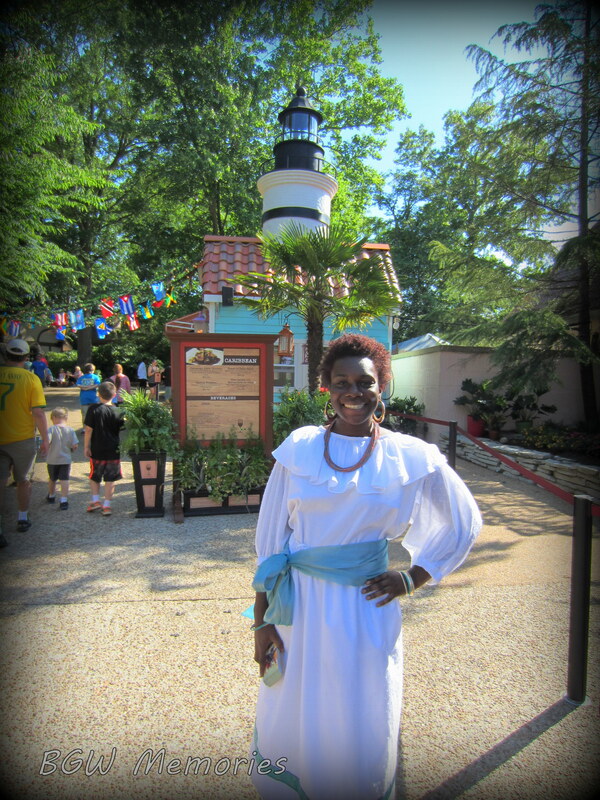 Tara welcomes you at the Caribbean kiosk. 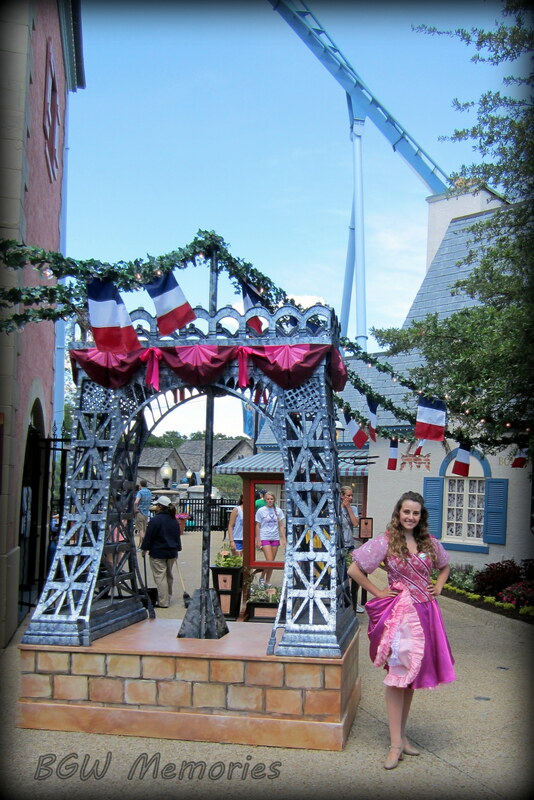 Clara says Bonjour in France. Goeiendag and Hallo from Belgium! Heather is a friendly face in Scotland. Welcome to Ireland! C’ead Mile Failte! 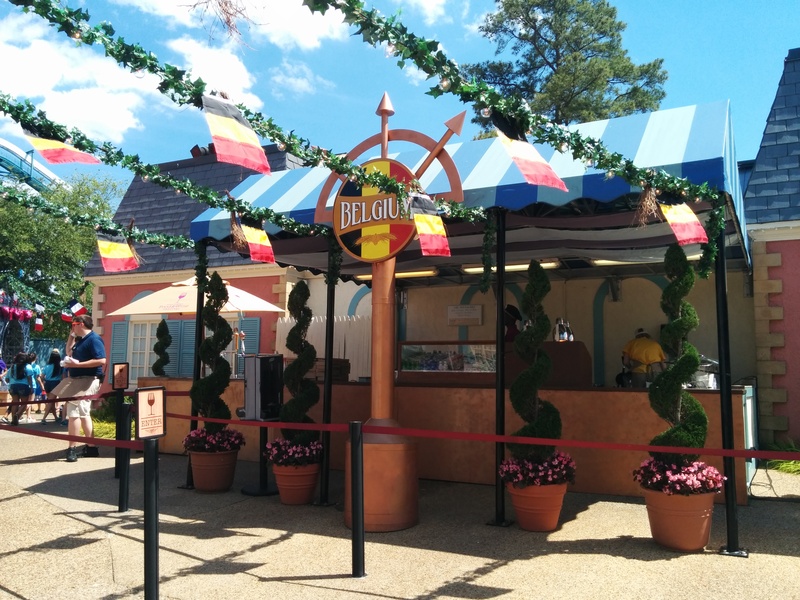 The brightly colored flags of each country hang overhead for guests to easily recognize the kiosks this year. 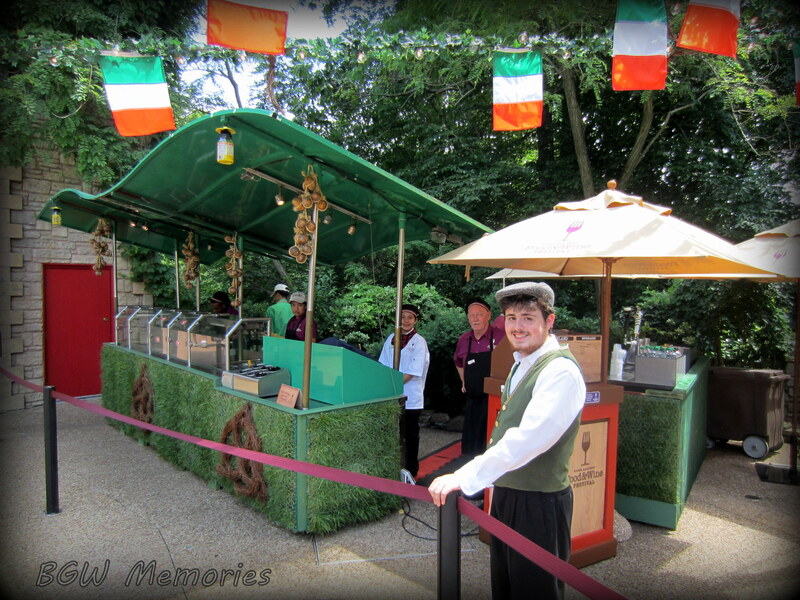 I found this to be a smart move on the park as it is also a nice touch to the event’s theme. In the center of Oktoberfest, you will find a new booth dedicated to dessert wine tastings and Food & Wine Festival themed merchandise. I love this year’s design by Lester Coloma and plan on picking up a limited edition framed print. Wine tastings are also found in Aquitaine’s Le Belle Maison Gift Shop (France), German Gifts in Rhinefeld (Germany), Oktoberfest, and Bella Casa Gift shop in San Marco (Italy). 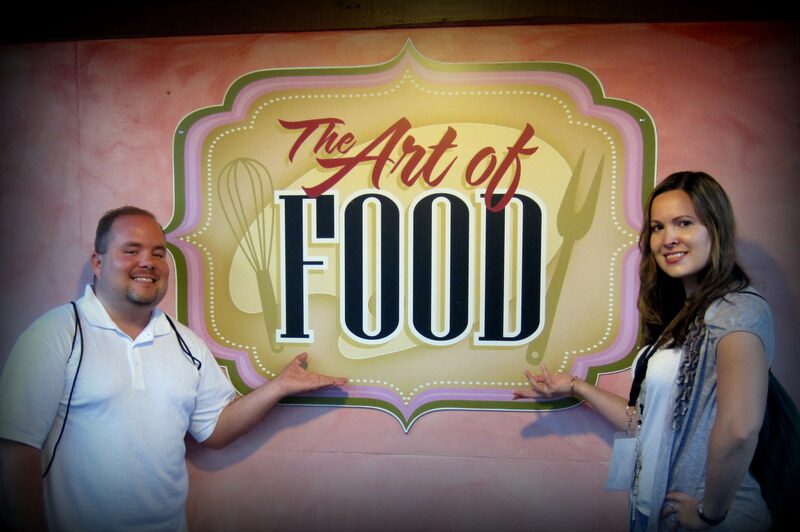 “The Art of Food” booths feature some familiar and new faces to the line-up. All the artisans specialize in crafty sculptures and carvings of various foods. Make sure to stop by and speak with them all. **More Artists will be posted here- check back soon. The Aquitaine Band is back! 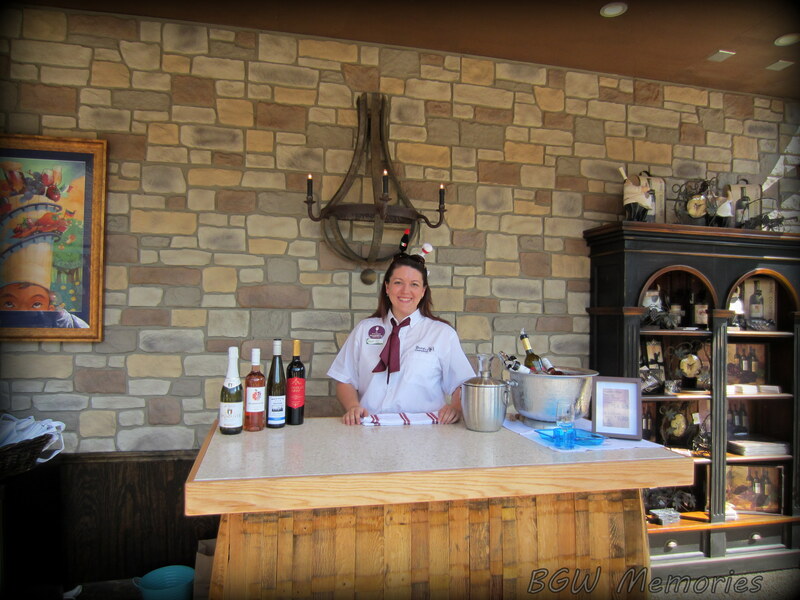 In the evenings, have a glass of wine at the Crepes and Coffee booth or visit Nora at LeBelle Maison gift shop. She will be more than happy to pick out a French wine to savor while your listen to the soft Bohemian tunes. 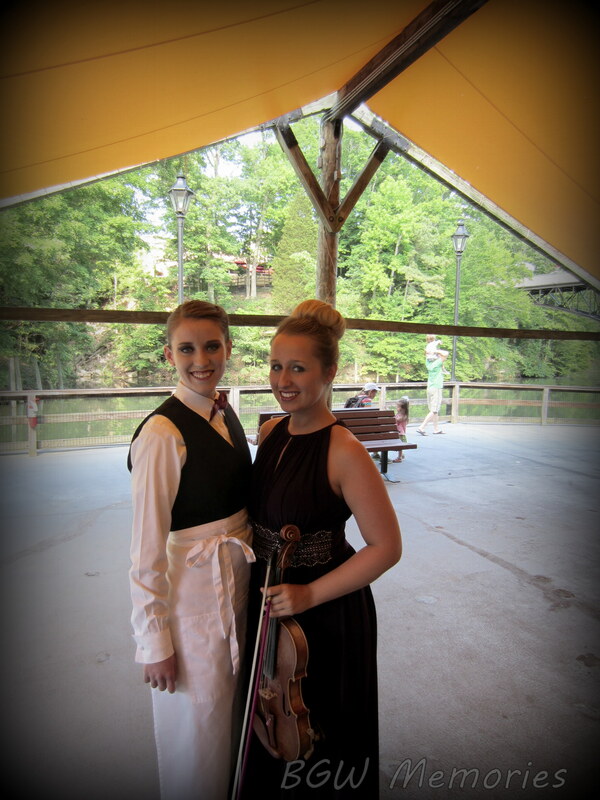 The Aquataine village band plays while cake designer Burton Farnsworth slyly photobombs the performance! As you can tell, there is much to see, taste, and enjoy. I was talking to chef Durell Council, he was the most proud of the Caribbean addition this year and his specialty of Gamba Fritters; fried shrimp dumplings with pickapeppa dip. 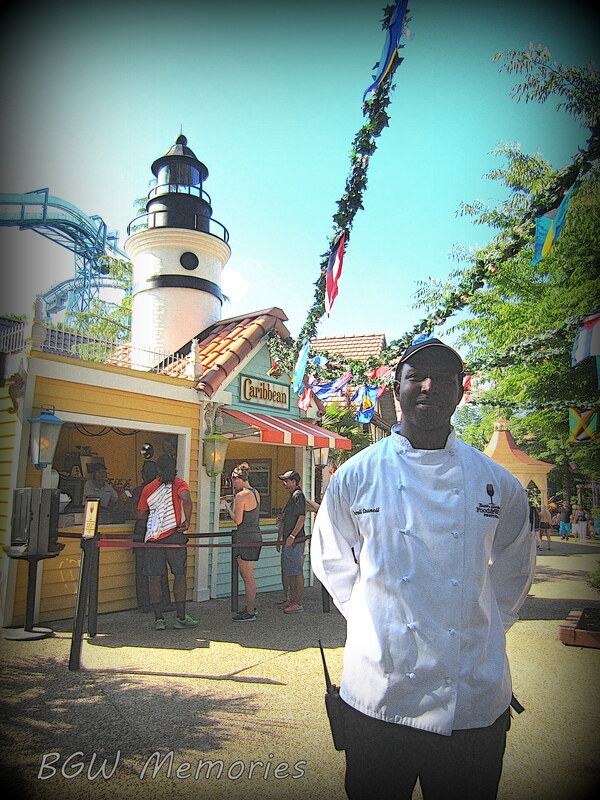 If you see Durell around the park, make sure to say hi and ask him about the dishes. He is extremely friendly and a great ambassador of the event! 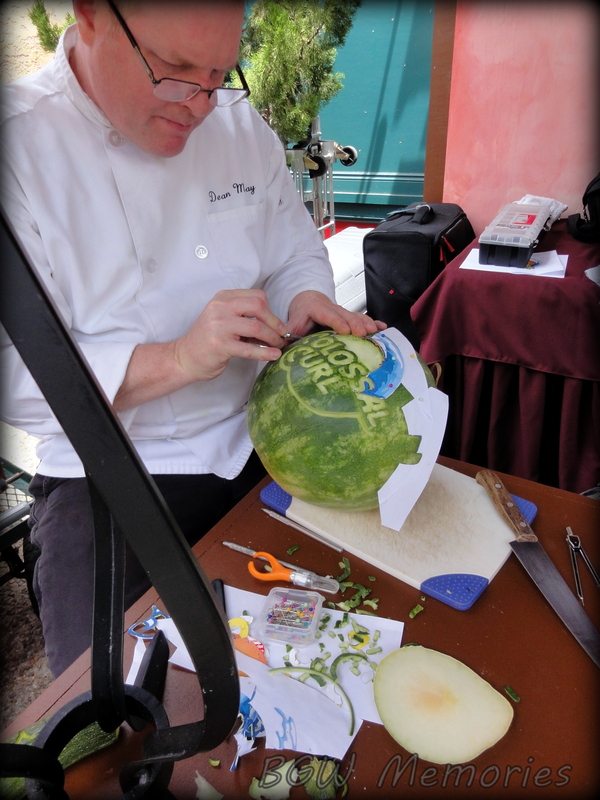 Chef Durell is the best! 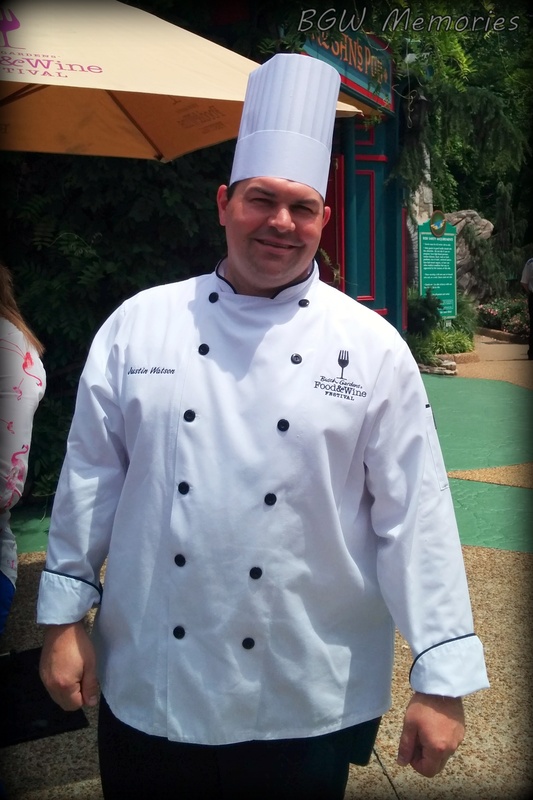 Speaking of ambassadors, Chef Justin Watson, the executive chef of Busch Gardens Williamsburg, is often roaming around the park; closely inspecting food quality and overall operations. Humble and friendly, he will always give praises to all the departments and people who partake in making the event spectacular. If you see him, feel free to comment on the food. 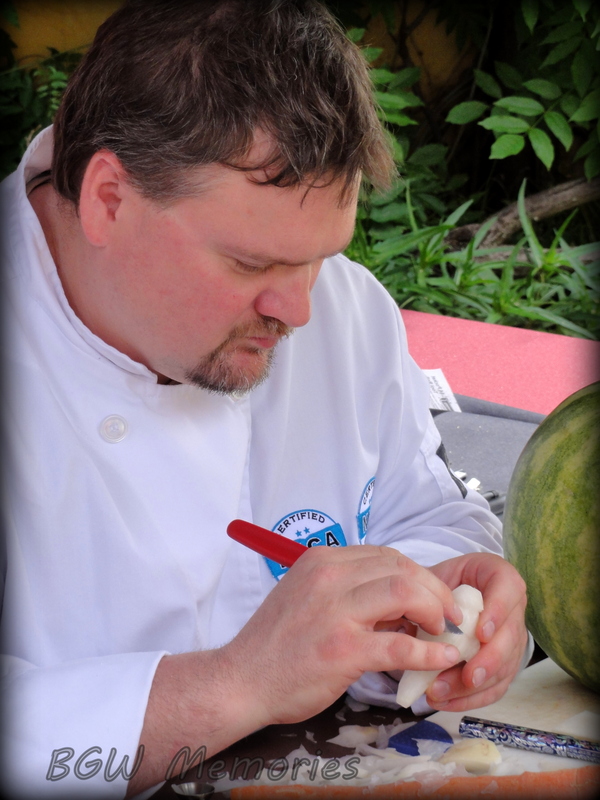 His passion for cooking will always shine through while discussing your dining experiences. 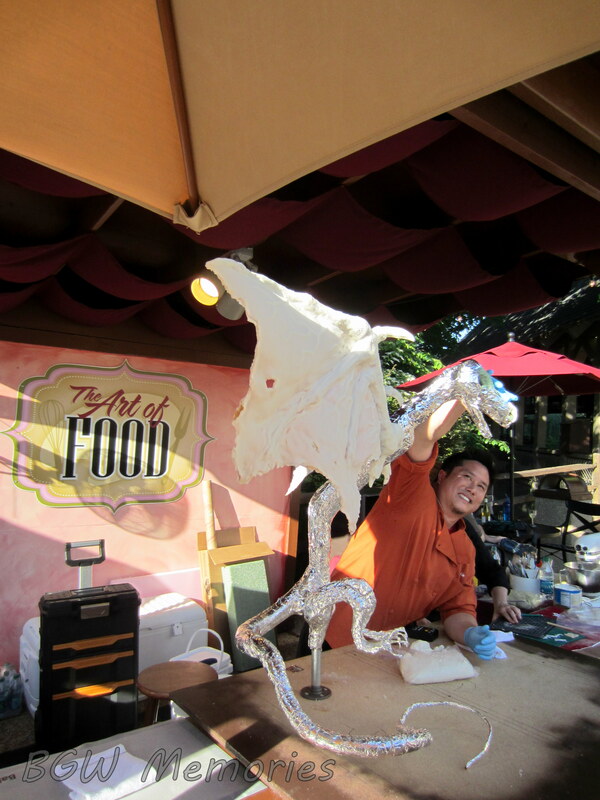 Well, that about wraps up my initial trip to the 2014 Food & Wine Festival. Since the event continues on through June 29th (Fri, Sat, and Sundays only), there is plenty of time for me to return again and again to enjoy most of what the park offers.